Seating high at an altitude of 700-2,100m, Wayanad incites serenity, peace, openness, and tranquillity in the hearts of its visitors. Nestled in the lap of the mighty Western Ghats; this picturesque hill station in Kerala resonates a unique sense of being adored by the pristine beauty of Mother Nature! Dotted with numerous tourist attractions, stunning wildlife sanctuaries, mesmerising waterfalls, and a diverse past, this gorgeous hill station is a must visit place for tourists from all the walks of life.Be it on a honeymoon trip, adventure tour, a vacay for leisure, or a holiday of any other nature, Wayanad never ceases to amaze its visitors! 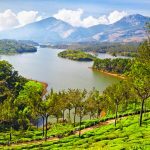 Let’s delve deep into the bosom of this promising hill station, and have a look at the 50 most stunning places to visit in Wayanad; time to explore a world out of fantasy land! An exotic abode to some of the most fascinating as well as endangered wildlife species, Wayanad Wildlife Sanctuary is a dream come true destination for the nature and wildlife lovers! Spreading across an areas of 344sq.km, this protected forest range is also a home to numerous floral and avifauna species. Mainly divided into four different ranges: Sulthan Bathery, Muthunga, Kurichit, and Tholpetty, this sanctuary is a perfect place to spot Asiatic Elephants, Indian Tigers, Indian Bison, Deer, Panthers, and several others. For the bird lovers, they can treat themselves while spotting a range of Peacock, Owls, Cuckoo, Jungle Fowls, Babblers, and a lot more. Though not exactly in Wayanad, this would-be UNESCO World Heritage Site can be easily accessed while unravelling Wayanad’s irresistible beauty! Also called ‘Rajiv Gandhi National Park’, the Nagarhole National Park is soon expected to be included in the list of UNESCO World Heritage Site, and is touted as the largest Wildlife Protected Area in South India; combined with three other national parks. 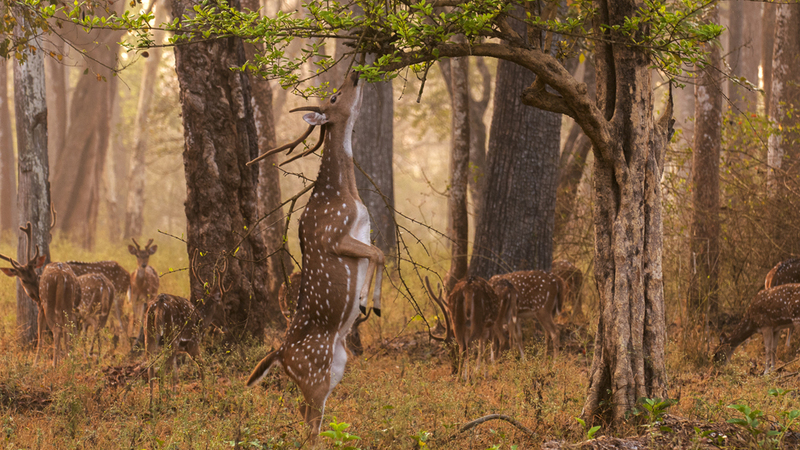 Famed as one of the best tiger reserves in the country, Nagarhole National Park shelters a diverse range of wildlife species that include Bengal Tigers, Indian Bison, Indian Elephant, Indian Leopards, Stripped Hyena, Chital Sambar Deer, Four-horned Antelope, Indian Giant Flying Squirrel, and lot more. The park also houses a number of floral species, birds, reptiles, and insects. A captivating extension of the scenic Wayanad Wildlife Sanctuary, Tholpetty Wildlife Sanctuary is also a part of the UNESCO Nilgiri Biosphere Reserve. Situated towards the north of the hill station, this range of the wildlife sanctuary is known for jaw-dropping Jeep Safaris into the dense areas of the forest reserves that are inhabited by mighty predators and gigantic mammals. This part of the reserve is canopied by semi-evergreen forests, bamboo plants, teak, eucalyptus, silver oak, and rosewood. Owing to the dense locales, it serves as an ideal spot to come face-to-face with exotic species like Panthers, Indian Tigers, Elephants, Bison, Malabar Squirrels, Slender Loris, and several others. Wayanad is a mix of natural wonders! Whether you are a nature lover or an adventure freak, you can find that adrenaline rush while feasting on the miraculous beauty of Mother Nature in this gorgeous hill station. And in case, you are now looking forward for such a mixed of experience, you must visit (or trek) to Pakshipathalam in Wayanad! A trekker’s delight and a paradise for bird lovers, this gorgeous spot is situated at an astounding height of 1,700m above the sea level. Known for its diverse population of avifauna, it takes the trekkers through thick patches of evergreen forests followed by rugged and strenuous terrains. If luck favours, you can also spot Malabar Giant Squirrels and Gaurs while in Pakshipathalam. 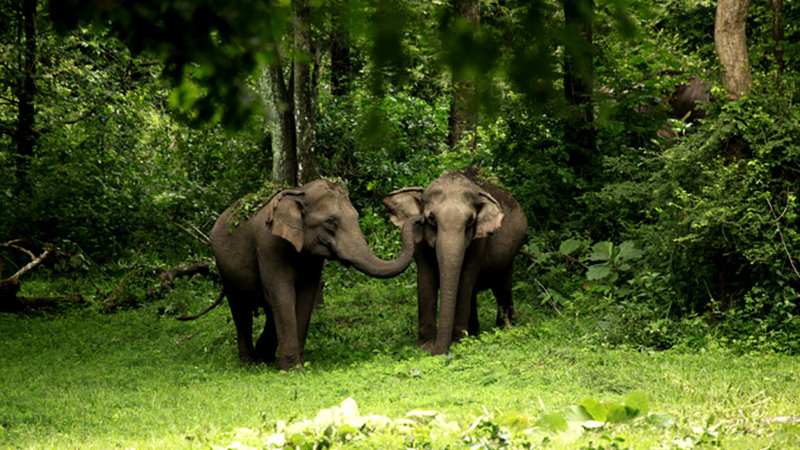 Another picturesque range of the Wayanad Wildlife Sanctuary, the Muthunga forest range connects the Nagarhole and Bandipur national parks with the Wayanad Wildlife Sanctuary. Mainly a rainforest area, this portion of the forest serves as a major attraction as it included under Project Elephant in 1991. Fringed with a wide range of floral species: rosewood, vengal, maruthi, venteak, karimarithi, and others, this range is a common ground for the gigantic Indian Elephants. Among the other fascinating species, one can easily spot Tigers, Panthers, Civet Cats, Wild Dogs, and Monkeys in this range. 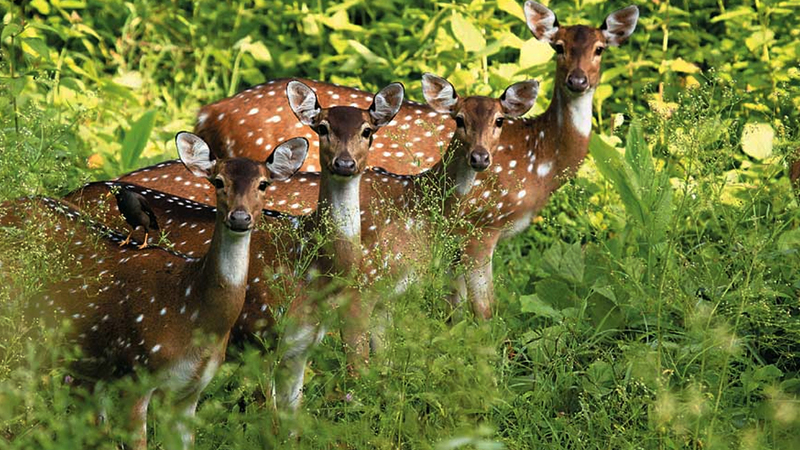 One of the least explored forest reserves in Wayanad, Begur Wildlife Sanctuary is a perfect treat for the nature lovers. Situated at the foothills of fascinating Western Ghats, this lush and evergreen site also serves as a wonderful picnic spot to the visitors. 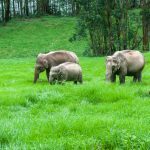 If during your Wayanad tour, you yearn to find the whereabouts of Indian Elephants, Bison, Bears, Jungle Cats, Spotted Dear, Wild Boars, and other exotic ranges, you must take a jungle safari across the Begur Wildlife Sanctuary. Also, if you are a shutterbug, you would definitely fall in love with the enchanting beauty of this wildlife protected area. A gurgling outpouring that seems to be straight out of fairy-tale, the Sentinel Rock Waterfalls or the Soochipara Waterfalls is surely one of the most stunning place to visit in Wayanad. Nestled amidst the salubrious locale of Vellarimala hamlet, this three-tiered cascade is a nature lover’s delight, and can be reached after completing an enthralling downward trek of around 30 minutes. In addition to swimming and bathing, visitors to Soochipara Waterfalls can also indulge in wildlife spotting and nature photography. Wayand’s infectious charm and appeal can entice you to surrender yourself at an ease! And to experience this quintessential happening, you must visit the stunning Meenmutty Waterfalls. Gushing down from around 1,000ft, this bewitching waterfalls flaunts its miraculous beauty in Kalpetta; around 29km from the heart of Wayanad. A true treasure trove for the visitors, it can be accessed after completing a 2km trek across verdant thickets and exhilarating trails. To note here, visiting Meenmutty Waterfalls during the monsoons might not be a good choice as the surroundings get slippery due to heavy downpour! While searching for waterfalls in Wayanad, the one name that would always top the list, is the stunning Chethalayam Waterfalls. Surreal, soothing, picture-perfect, and highly infectious, this gushing cascade in located only 12km from Sulthan Bathery, and is often revered as nature’s best magic in Wayanad. Whether you are a thrill seeker or a nature enthusiast, you will surely fall in love with this wonderful waterfall in God’s Own Country. Though one needs to undertake an exhilarating 4km trek to reach this marvellous spot, its undulating beauty proves to be an impeccable reward to everyone who cares and dares to complete this trek! Quaint and secluded from all the hustles, Kanthanpara Waterfalls in Wayanad is the most picture-perfect spot that you cannot miss out while unravelling the enchanting beauty of this hill station! Set amidst a rugged, yet captivating surrounding, this spectacular cascade measure only 30ft. Though smaller than the other waterfalls in Wayanad, Kanthanpara Waterfalls has its own charm and appeal and is truly a not-to-miss destination in the list of places to visit in Wayanad. 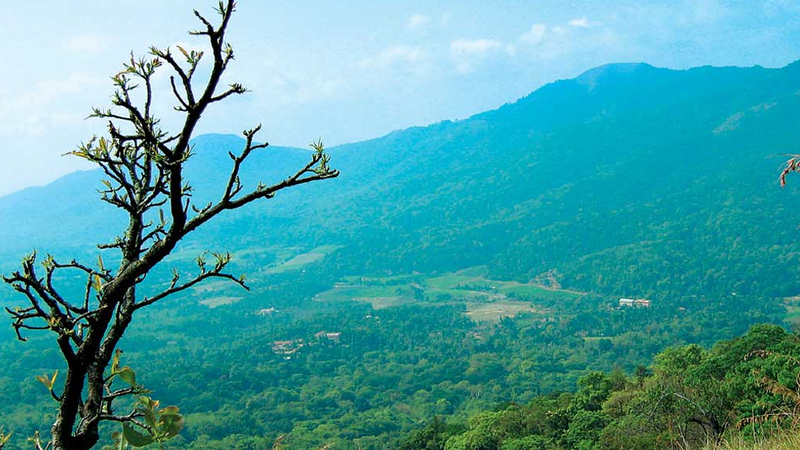 Wayanad is undoubtedly one of the most promising gift of the Western Ghat. Adding more to the untouched beauty of this scenic hill station is the Thusaragiri Waterfalls in the Kozhikode district of Kerala. Though not exactly situated in the hill station, it is always included in the list of beautiful places to visit in Wayanad or around it. Dotted with scenic arecanut, pepper, ginger, and other spice plantations, visitors need to traverse only 50km in order to visit this scenic waterfalls. Cascading down from the lap of the captivating Brahmagiri Mountain Range, Iruppu Waterfalls; located in the Kodagu district of Karnataka, also serves as a major attraction to the visitors to Wayanad. Also known as the ‘Lakshmana Tirtha Falls’, this beautiful falls also has high religious significance among the Hindu devotees. According to the legends, Iruppu Falls was created by the stroke of an arrow shot by Lakshmana when Lord Rama asked for water while on their quest to find Sita. Famed as the largest earthen dam in the country and the second largest in Asia, Banasura Sagar Dam is a treat to the eyes! Dotted with a chain of picturesque islets, this magnificent and mammoth structure is back dropped by the fascinating Western Ghats, and calls in for visitors from across the globe. Built at the foothills of the Banasura Hill, Banasura Sagar Dam has soon become a sought-after destination and must-visit tourist spots in Wayanad. In addition to the irresistible beauty of the dam, visitors can also enjoy a range of enthralling and leisure activities around the dam. To name a few, visitors can indulge in adrenaline pumping activities like boating and speed-boating, leisure options like pedal-boat and picnic. In case, you want to extend your holidays and adore more of the Banasura Sagar Dam, you can also check-in into the Banasura Hill Resort and quench all your yearnings! An ode to all the romantic souls out there, the Chembra Lake or the ‘Hridhayathadakam’ is truly Mother Nature’s divine creation. Located at an approximate elevation of 1,800m; on the way to the astounding Chembra Peak in Wayanad, this heart-shaped lake is one such place, where you can find love and romance filling in your heart and soul! Besides its unique shape, the fact that Chembra Lake has never dried despite being situated at such a towering height, entices thousands of visitors to visit this awe-inspiring lake. Well, in case you too wish to have a glimpse of this heart-warming lake, you need to trek up to almost the tip of the Chembra Peak in Wayanad. A fresh lake tucked away amidst scenic wooded slopes and thriving forests, the Pookot Lake is one of the most promising addition to the list of places to visit in Wayanad! Flowing through a quaint settlement; around 3km from Vythiri town, this water reservoir offers some of the most memorable and exciting experiences to its visitors. Also known as the ‘Pookode Lake’, this water source is the origin of Panamaran rivulet, which later becomes the gurgling Kabini River that forms a major tributary of Cauvery River. Owing to the favourable conditions and abundance of water, Pookot Lake also serves as an ideal wildlife spotting destination in the entire of Wayanad. This magnificent dam is among the most beautiful man-made marvels in Wayanad! Clenching both the sides of the scenic Karapuzha River, this dam is also rated among the largest earthen dams in India. Undeniably, Karapuzha Dam is also a perfect location to unwind oneself amid nature’s miraculous beauty and grasp in some sense of openness and tranquillity! On a visit to this massive water reservoir, visitors can indulge in and enjoy a range of exciting activities. For the water sport lovers, they can enjoy boating and canoeing around the dam. Nature lovers can opt for birdwatching and photography tours. On the other hand, leisure seekers can make their day wonderful with lively picnic options or simply take a stroll around the Karapuzha Dam. Located within a proximity to the scenic Banasura Sagar Dam, Karlad Lake could be an ideal option to break the mundane schedule of city-life! Located around 16km from Kalpetta, this alluring lake in Wayanad is famed as the second largest freshwater lake in the entire of Kerala. Attracting a mix of visitors from different corners of the globe, this lake also offers some of the most fun-frolic options to its visitors. Surrounded by lush bamboo thickets and evergreen vegetation, it entices trekkers who yearn to pump in some adrenalines. For the fun seekers, it offers enthralling activities like ziplining and zorbing. The lake also has a recreational park that can be well-utilised by leisure travellers. A part of the fascinating Banasura Sagar Dam, Padinjarathara Dam boasts of its scenic appeal and gorgeous surroundings. Picturesque backdrop, azure water bodies, and the soothing breezes flowing across this dam can entice you to spend more time around it! Adding more the charm and appeal of Padinjarathara Dam, there are the mist-covered peaks and dense thickets that also serve as resting ground of several exotic wildlife species. If luck favours, you can spot some of the most colourful birds and mighty predators while around this dam. Calm, serene, and extremely pleasing to one’s senses, the gorgeous Bukud Lake in Wayanad is an ultimate place to have a tryst with the bountiful nature! Dotted with playful coconut groves, this natural water reservoir serves as an important water source for the natives. On a usual visit to Bukud Lake, you can catch a livelier glimpse of how the locals carry out their daily activities across this lake. A scenic mountain stream flowing through the scenic settings of the Brahmagiri Hills, Papanasini is considered as a sacred water body. Located around 46km from Kalpetty in Wayanad, this water source has a legend that says Garuda; the divine carrier of Lord Vishnu, dropped a few drops of ‘amrit’ in this stream while flying Amrita Kumba. Since then, Papanasini is considered pious, and devotees believe that a dip in this holy place could wash away all their sins. If all the tourist spots in Wayanad has to be ranked, the Edakkal Caves would surely be placed amongst the top names! Yes, that’s how captivating and bewildering these two caves are! Seated at a towering height of 3,900ft above the sea level, the Edakkal Caves in the Western Ghats are two natural caves that are often touted as the most promising natural tourist spots with diverse historical significance. Believed to belong to the Neolithic Period, these pair of caves have stone carvings and pictorial writings dating back to 6,000BC. These caverns are the only two spots in South India to have such unique paintings. If this is not enough to entice you to Edakkal Caves, you should also know that they are estimated to have linkage to the prehistoric Indus Valley Civilization! The imposing Chembra Peak boasts of being the highest peak in the Western Ghats. The pride of Wayanad, this towering peak is an adventurer’s paradise and also a dream come true destination for the nature lovers. Reaching up to a height of 6,890ft above the sea level, this peak is a part of the Wayanad Hills that joins the Nilgiri Hills and Vellarimala Range in Kozhikode. A trekker’s heaven, Chembra Peak offers an easy-grade hiking experience. Considered ideal even for the beginners, this trek opens many doors to witness and revel in the miraculous beauty of Wayanad and its nearby places. Also, on the way to the peak, the trekkers get rewarded with the pictorial views of the Chembra Lake! Surrounded by the emerald water of the Kabini River, Kuruvadweep or the Kuruva Island is a protected river delta that is often called to most attractive tourist spots in Wayanad. Spreading across 950 acres, this river island is dotted with lush bamboo groves and other exotic range of flora. Rated as an ideal day-out location for leisure and other recreational activities, the island showcases a calm, serene, and peaceful ambience that can help you relax and rejuvenate your mind at an ease! Whether with family or friends, you can always embark on a delightful visit to Kuruva Island and curate some of the most enjoyable memories of your Wayanad or Kerala tour. This year-round destination amidst the gorgeous hill station of Wayanad, needs no introduction! Positioned at a height of 700m above the sea level, this tourist-village in God’s Own Country is known for a myriad of reasons. 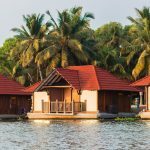 Pleasant climate, alluring charm, salubrious tourist offerings, and some of the most wonderful tourist resorts are some of the reasons that make Vythiri a must visit destination in Kerala’s tourism map. While the leisure seekers finds peace and solace around the locales of Vythiri, the wanderlusts always finds numerous reasons to fill in the travelogue while in this scenic hamlet. On the other hand, for the adventure junkies, the many hair-pin bends leading to this village serves as an ideal way to pump in some adrenalines! Set amidst captivating hills and lofty peaks, Wayanad has no dearth of vantage points that allows the visitors to catch panoramic views of the hill station. One among these points is the Neelimala Viewpoint that is known to offer some of the most captivating and breath-taking views of Meenmutty Waterfalls and numerous pictorial valleys. The rugged and challenging terrains leading to this viewpoint never ceases to entice fun and thrill seekers. The whirling trails passing through dense thickets has a unique appeal, and can be explored only on foot. On reaching the spot, the visitors get rewarded with undulated views of mist-covered mountains, picturesque meadows, never-ending spice gardens, and much more! Another marvel of Mother Nature, the Phantom Rock in Wayanad is a rare and unique rock formation! Reaching an astounding height of 2,600ft above the sea level, this rock resembles much to a skull, and thus it has been named such. Located close to the Edakkal Caves, this rock formation can be reached only by hiking through narrow and uneven trails. This also makes it one of the most sought-after destination for the trekkers and thrill seekers alike! The uniqueness of Phantom Rock is further enhanced by scenic back-drop and evergreen forests at its base. Welcome to the ‘Gateway of Wayanad’! One of the highest places in Kerala; 700m above the sea level, this pictorial town is a true treasure trove for the visitors. 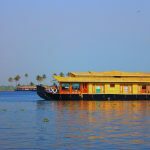 Guarded by lofty peaks, adorned with the alluring charm of scenic valleys, dotted with gurgling streams and water bodies, and canopied by evergreen vegetation, this is one such place that you should never miss while on a Kerala tour. Also called the ‘Cherrapunji of Kerala’, Lakkidi receives high amount of rainfall throughout the year. This also makes it one of the greenest abodes in God’s Own Country. Winding roads, pristine ambience, promising picnic spots, and a range of tourist activities makes this town a not-to-miss place to visit in Wayanad! While revelling in the miraculous beauty of Wayanad, if you yearn to spend some quiet moments in total peace, you must visit this quaint town! Situated almost 1,000m above the sea level, this pristine, yet alluring town has an exciting past. Sulthan Bathery is the town in Kerala, where Tipu Sultan, the mighty ruler of Mysore, had his camps while invading the surrounding regions. The ruler also set his battery in the nearby Jain temples, and thus this scenic town is often called as ‘Sultan Battery’. Located within a close hand to Meppadi; around 7km, and almost 18km from Kalpetta, Ripon Tea Estate is among the most verdant and promising tea plantation areas in Wayanad. Spreading across 443 hectares of enchanting slopes, this lush tea estate invites visitors and showcase how tea is planted, nurtured, plucked, processed, and finally packed to reach our homes. Originally established during the British era; by around the 18th century, Ripon Tea Estate is popular for its indigenous ‘Dust’, ‘Leaf’, and ‘Blended’ varieties of tea. On a visit to the tea factory, visitors can have a glimpse of the entire tea production process, and also go for some tea tasting session with prior permissions. Ambalavayal Heritage Museum or the Wayanad Heritage Museum is the largest, best maintained, and one of its own kind archaeological museum in Kerala. Located around 12km from Sulthan Bathery, this heritage house displays a wide range of artefacts that brings alive the golden past of Wayanad. Divided into four blocks, the museum has ancient rock edicts called ‘Veerakkallu’, tribal headgears, hunting weapons, local jewelleries, cowbells, traditional musical instruments, and lot more. A meeting ground for history enthusiasts, students, archaeologists, and leisure travellers, this museum also showcase elements belonging to 17th century or the Neotholic Age. Pazhassi Raja is a name that is written in golden letter in Kerala’s history. A warrior prince who is fondly called the ‘Kerala Simham’ or the ‘Lion of Kerala’, he was also one of the earliest freedom fighters of India. A valorous warrior who stood firm against Hyder Ali, Tipu Sultan, and the British troupes, this brave son of Kerala breathed last near Karnataka border while fighting against British soldiers. The Pazhassi Raja Tomb in Wayanad is the final resting ground of this brave son of Kerala. Today, the tomb has a well-reserved museum that has his personal belongings like swords, royal attires, and several others. Wayanad has numerous hidden gems, and Kolagappara is one of the best kept secrets in this gorgeous hill station! Located only a kilometre from Sulthan Bathery, this quaint hamlet is known for its scenic beauty, mesmeric charm, divine tranquillity, and a heart-warming greener outlook. Dotted with rubber, coffee, and vanilla plantations, it can be called as a paradise for those, who desires to spend some quality moments in the lap of Mother Nature. In addition to its pleasant climate and bountiful nature, it is also known for enthralling activities like mountain climbing and trekking. Mother Nature has her own ways to showcase her beauty, and the Bamboo Forest in Wayanad is a perfect spot to witness this phenomenon! Located within a proximity to the Muthunga Wildlife Sanctuary, this unique settings of bamboo plants add to the mesmeric beauty of the hill station. This region is a protected area and is among the most scenic places to visit in Wayanad. Wayanad Cricket Stadium or the Krishnagiri Cricket Stadium is in fact the most-sought after place to visit among the cricket lovers. An 11.5 acers cricket ground, this stadium has been aesthetically built to resume matches even after half an hours’ of downpour. The only international-grade cricket stadium in the region, it can accommodatearound 20,000 audiences at once. Its galleries are in the form of sloped lawn just like in that of the stadiums in South Africa and Australia. It was inaugurated in 2013, and since than it has hosted a first-class. Well, don’t mistake this surreal place to be a destination only meant for the boys! A mixed stroke of alluring climate, eye-catching views, undulated tea plantations, and an irresistible charm, Boys Town is a tiny village in Wayanad. Dotted with magnificent hillocks and slanting tea estates, this sleepy village has many reasons to be included in the list of scenic places to visit in Wayanad. Herbal garden, enchanting views, natural harmony, and balmy lifestyle are some of the primary reasons. If you have a special liking for craftsmanship or an inclination towards bamboo works, you must visit the Bamboo Factory in Wayanad. Located in Uravis, this indigenous factory aims to keep alive the art and craft associated with bamboo. Visit this eccentric tourist spot in Wayanad to learn the art of making exciting artefacts out of nothing but bamboo. Visitors can also buy souvenirs, gift-pieces, and also learn bamboo crafts while in here. An ideal place to know and learn more about cultivation of paddy, tropical fruits, spices, and vegetables, the Regional Agricultural Research Station is an agricultural research centre in Wayanad. Located in Ambalavayal, this centre serves as a wonderful place to get acquainted with the rice and vegetation culture of Kerala. Visitors to RARS can also get home saplings or seeds to grow in their homes. Established by Prof M.S. Swaminathan, this botanical garden is a natural home to more than 2,033 different floral species. This diverse range includes numerous samples that are indigenous only to the Western Ghats. Many of these species also come under the threatened category. Founded in 1988, the M S Swaminathan Research Foundation offers a riveting experience that cannot be found anywhere else across the globe! Standing strong at the edge of the Wayanad Ghat along the National Highway, Chain Tree is a mysterious place to visit in Wayanad. In addition to being considered as a sacred spot, the Chain Tree has become a much sought-after place for the mystery seekers! Legends have it that a tribal boy named ‘Karinthandan’ was brutally murdered at this spot. Since then, the spot became haunted until a Hindu priest conducted some rituals and chained the spirit intact with the ficus tree. Even today, visitors can witness a chain dropping down from the tree’s branch. Surprisingly, locals believe that this chain keeps on growing along with the tree’s branch! A sacred Hindu temple located in the town of Sulthan Bathery, Maha Ganapati Temple can be called as one of the ancient temples in the region. With Lord Ganesha as the presiding deity, this religious site is believed to date back to 8thcentury or even more. Historic tales depicts that Tipu Sultan, after invading the region destroyed the temple, and later rebuild it too. Visit this temple during January-February, and you participate in its annual festival that goes on for around eight days. Within this period, locals come together and hosts programs like ‘Chakyarkoothu’ and ‘Ottanthullal’ followed by a religious procession to carry the lord’s idol on decorated elephant. Believe it or not, but Kerala is one such place where all religious faiths live in total harmony and brotherhood. And the pious Korome Mosque in Wayanad is a live testimony to this! Located around 23km from Mananthavady, this Muslim praying site is around 300 years old, and is believed to be built by the local Nair members. Built in traditional Kerala architecture, the mosque is wonderful display of wooden carvings. Located only 6km from Kalpetta, this holy temple is dedicated to Anantnath Swami who was a renowned Jain tirthankar. Built in unique Dravidian architecture, it has intricate stone carvings all around, granite carved platforms, and square pillars to hold a slanting roof made of pure stones. Dating back to 13thcentury, it once served as the battery of Tipu Sultan after the king invaded the region. It was later shifted to Puliyarmala in the year 1931. A Hindu temple that seats at a towering height of 900m above the sea level, Thirunelli Temple is a pious spot for the followers of Lord Vishnu. Located at the foothills of Brahmagiri Mountain in Wayanad, it is a brilliant piece of architecture showcasing detailed stone carvings and ancient marvels. The Varambetta Mosque is another not-to-missed religious spots in Wayanad! One of the oldest masjids in the region, it was established around 300 years ago in Malabar style. One can reach this religious site easily from Kalpetta; distance being only 15km. An important religious centre for the tribal population, this sacred establishment is around 3km away from Mananthavady. The Mother Goddess is worshipped in this temple in three different forms: Vana Durga, Jala Durga, and Bhadrakali. Come February-March, Valliyoor Temple hosts a fourteen days’ annual festival to worship the Mother Goddess. The locals participate with full gusto, and perform their traditional art forms while playing their native music. Kalamezhutu plays an important attraction of this annual festival. The ‘Our Lady of Lourdes Church’ or the Pallikkunnu Church is a Latin Catholic Church that was built by a French priest named Fr. Jefreno in the year 1908. Located around 14km from Kalpetta, this church is of high religious importance among the Christians. The devotees believe that Mother Mary answers to every righteous prayer made in the Pallikkunnu Church. Seetha Devi Temple in Wayanad is the only temple that has Lava and Kusha; the children of Lord Rama, as the main deities. Located amid to Pulpally town in Wayanad, this temple is believed to hold a prominent rank among all the other temples in Kerala. Often related with Hindu epic Ramayana, this is the site where Sita gave birth to two sons after being abandoned by Lord Rama. It is also said that this is the same spot, where the lord met his sons after they captivated His ‘Ashwamedha’ horse. Lord Shiva is considered as the main deity in Thrikkaipatta Shiva Temple. However, the temple also has other deities like Lord Ganesha, Goddess Durga in the form of Bhadrakali, Lord Sastha, Lord Lakshmana, and others. The uniqueness of this sacred spot is that the Lord’s statue in here is placed towards east, which is quite a rare faith among the followers of Hindu belief. Yet another pious religious centre for the Hindus, Thrissilery Shiva Temple is located in a secluded locale around 19km from Thirunelli. A prominent place to worship Lord Shiva, the temple also has a shrine dedicated to Jala Durga. While enjoying holidays in Wayanad or in and around Kalpetta, visitors can also visit the holy Manikavu Temple in Choothupara Village. Located around 16km from Sulthan Bathery, this temple has Lord Shiva as its main deity. The Lingam worshipped here, is believed to be ‘Swayambu’, and has a natural stream that pours water on the Shiva Linga continuously. Well, if you are planning for an exciting Kerala tour, but perplexed about when to visit Wayanad, you must know that your favourite hill station in a year-round destination! Starting from January to December, this scenic hill station enjoys a pleasant climate and has mainly three seasons. This picturesque hill station gets purely magical between October and February! Temperature starts falling down; ranges between 10-25 degrees. With fogs and mists canopying the entire vicinity, the hill station turns into a treasure trove for the visitors. Though most of the places in Kerala experiences extreme heat, summer in Wayanad is agreeable and very pleasant. Temperature remains up to 20 degrees at the lowest, and can soar upto 35-36 degrees at the higher side. However, owing to its natural setting, the entire hill station remains calm and moderately pleasant for the visitors. Wayanad is well-connected to the rest of Kerala and country as well. Whether you want to go for a train, road, or flight journey, you can reach the hill station with an ease. How to Reach Wayanad by Road? Wayanad is accessible through a wide range of roadways. Be it from within the state or from any other corners of India, you don’t to think much on how to reach Wayanad by road! Adding more, you can always avail both private and government run buses at regular intervals from the nearby destinations like Bangalore, Chennai, Mysore, Kochi, Trivandrum, and others. How to Reach Wayanad by Train? Located around 65km away from Wayanad, Kozhikode Railway Station or the Calicut Railway Station is the closest train station to reach Wayanad. Nilambur Station Rd in Malapuram district of Kerala can also be a good choice to answer the question how to reach Wayanad by train as the distance is around 92km. How to Reach Wayanad by Air? If you are wondering about how to reach Wayanad by air, you need to relax and book tickets to Calicut International Airport (also called Karipur Airport)! Located around 65km from your chosen hill station. Upon arrival at the airport, you can hire private taxis and cabs, or even avail bus services to reach Wayanad.